Jodi Bean's Blog: Happy Friday (and Giveaway Winner Announced)! So I know I've talked about clean eating the last couple of days. I had been doing really good. . . until yesterday. I was weak. I was so tired. Too lazy to make dinner so I ate these. . . They are actually clean chips with only four ingredients. But probably not the best dinner. They must have given me some energy though b/c I got up out of bed (oh and did I mention I ate the chips in bed while watching tv?) and made these "for my coworkers." I really did bring them to work for my coworkers but I had to sample them first. They are REALLY good. Definitely not healthy! It is ok though b/c I've done really good for almost 2 weeks. Sometimes you have to treat yourself. Today is a new date and I will eat healthy again. So remember this post when I told you about "Why I Will Never Go On A Cruise?" I'm changing that to why I will never go on a Carnival Cruise. Here are 2 more reasons. The Carnival Dream and the Carnival Legend both had issues this week. Read about it here. Carnival needs to get it together!!! I got this in the mail yesterday. . . I'm not really happy about this. If I'm going to take a vacation day from work I want it to be for something fun - not jury duty! And yes I have to use PTO time which is the same as vacation time. We don't get a specific jury duty day. Let's just pray I don't get picked. 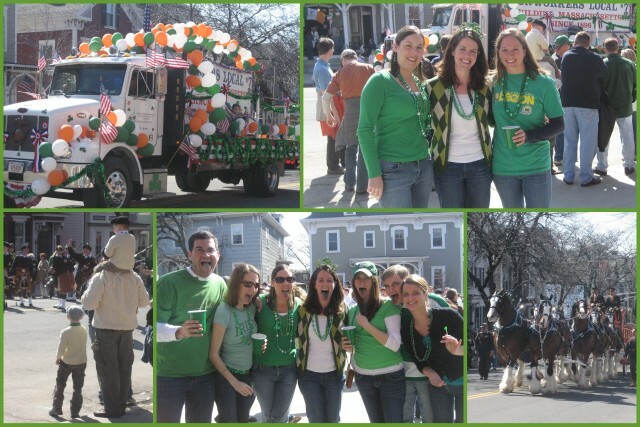 The last time I celebrated in Southie was 2009 and it was SO much fun! I hope you have a fun St. Pat's Day and get your Irish on!! Today is my last MS fact in honor of MS Awareness Week. Did you know that when I was diagnosed in 2008 the only treatment options were injections!? I give myself a shot once a week. The first oral treatment option came out a year or so ago and another one should be out soon. I'm really hopeful that in the near future I'll be able to switch to an oral treatment. I'm really tired of giving myself shots! But I'm grateful that there is treatment for MS b/c with it I've been relapse free since my original diagnosis! That doesn't mean I don't have symptoms, it just means I haven't had a major incident. So grateful! AND. . . the giveaway winner is. . . Leeann from Join the Gossip. This is actually really nice b/c Leeann actually commented earlier in the week about how she liked reading the MS facts to learn more. It made me really happy. So glad she won! P.S. Check me out on Susannah's blog today! That stinks your work doesn't give you jury duty days, every place I've worked has had those. :( I hope you don't get picked either! Looking forward to seeing you NEXT WEEK! YAY!! I had no idea that there were shots needed. If you don't give them to yourself do you have symptoms more severely or right away? I'm so jealous of your Boston adventures! Nobody really celebrates in SoCal :( It's sad! 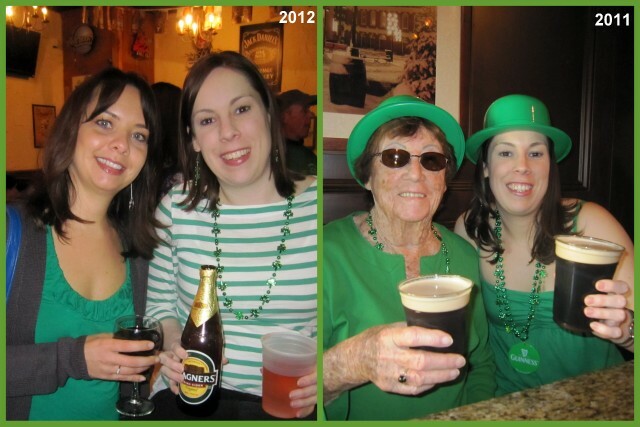 How jealous am I of you celebrating St. Patty's day in Southie! My hubby is from MA and we love going up there. I love Boston!!! Have fun! You are such a strong woman, I don't know how I would give myself shots. I had no idea! Hope you had a fun St. Patty's day! And bummer that you have to use a vacation day for jury duty! I've actually always wanted jury duty, because I think it would be so interesting, but I'd had to have to use PTO for it! Hopefully you won't get called for a trial! Also, I'm secretly kinda jealous of your jury duty! I've been called twice, but both times I was exempted because I was studying at university. Now I have the time to do it, I never get asked anymore. Boooooo. :( IDK, I guess I just think it'd be kind of interesting to do it.